There’s no doubt that DC Shoes changed the game when it entered skateboarding in the early ‘90s. Some would argue that it created the blueprint for what the modern skate shoe industry has become. Highsnobiety takes a look at DC’s DNA through speaking with the key players that had a hand in molding it. Aside from Ken Block and Damon Way, Dave “Pursue” Ross, Mike Blabac, Sung Choi, Alyasha Owerka-Moore, Omar Quiambao, and John Buscemi all lend their voices to the first installment of this new three-part series. Check the Instagram trailer below for a bite-sized taste. Then, head over to Highsnobiety to view “Breaking the Mold” in its entirety. UPDATE 11.9.18: The third installment of Highsnobiety’s DC Shoes documentary was released today. Watch the trailer below, and head over to Highsnob to watch the finale. In the final part of @highsnobiety docuseries navigating DC's history in skate culture, we explore what it has in store for the future & hints at some interesting collaborations: Hit the link in bio to watch the full video. UPDATE 10.4.18: Highsnobiety just released Part 2 of its DC Shoes documentary series. It examines artist collaborations, and how DC pioneered what has now become a standard practice in the footwear and apparel industry. Have a look at the trailer below, and head over to Highsnob to watch the entire episode. 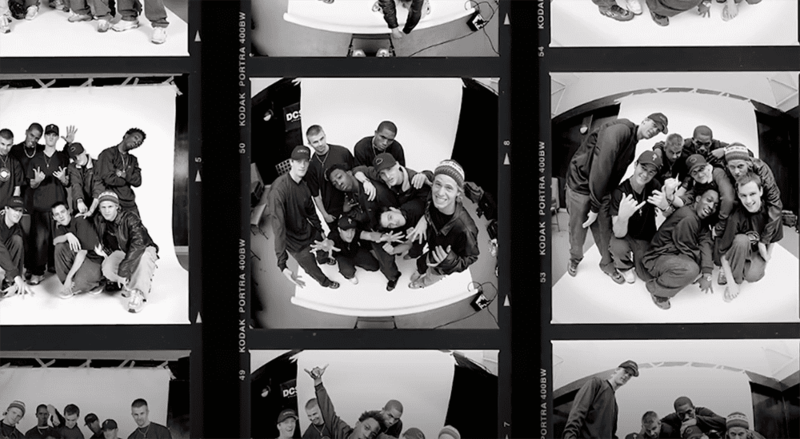 In the first of a three-part docuseries by Highsnobiety exploring how @DCShoes broke the boundaries of skate—while simultaneously shifting the streetwear landscape—we sit with not only the founders, but a slew of designers, skaters, & artists intimately connected to the early DC family. Link in bio for the full video & story.